NO critique please! I already know what I need to fix. Both the pictures and videos are from my lesson Sunday. Slim is a lesson horse I ride. Captions will be above both the pictures and videos. The videos took me forever to upload so I hope everyone can see them! Cantering down a diangle line. I need to sit back lol. 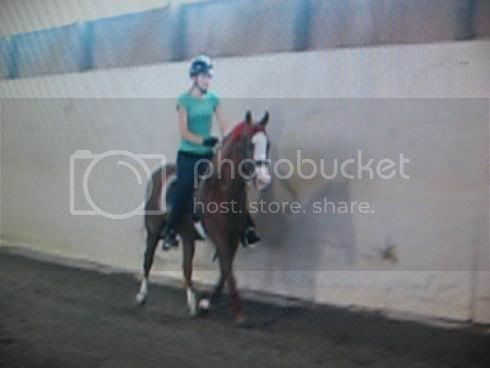 Trotting down the wall, hes too cute! 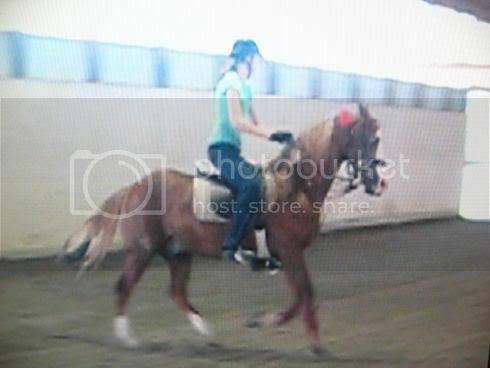 Just after i asked him to canter again, sence he disided he wanted to trot. 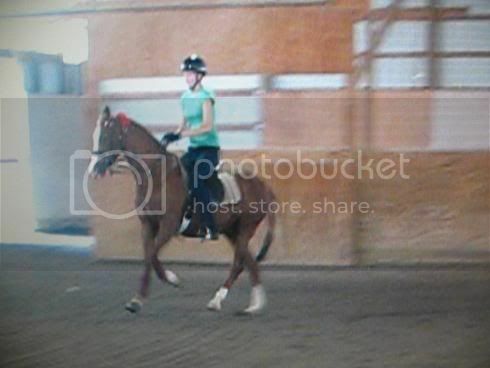 Slim and I just trotting around warming up before the canter. 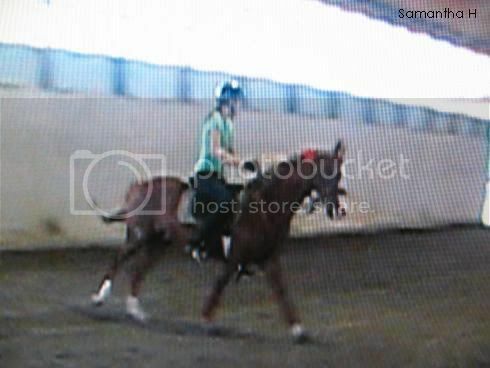 Slim and I cantering. Little bugger started to trot, dont worry right when the video stopped I made him canter a good lap and a half. 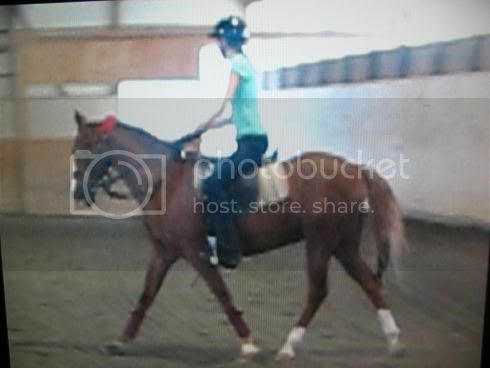 Hes hard to keep cantering sometimes. OKay our first pattern. Yea not too pretty but, slim HATES bending, and I needed to tur sooner. 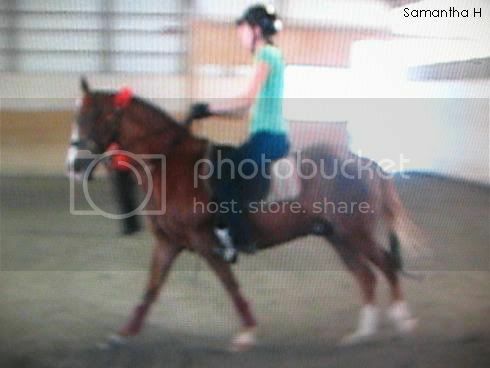 This one was ALOT better, but i just need to keep him going straight(sp) more when we trot, then I turn. This...This was just bad, lol. He went ADD on me and was like "Ahh the wall! lets go to it and trot" After that I trotted him up to the wall, asked for the canter again and made him circle twice, and he did good. Good pics! Slim is really cute! Are you going to show saddle seat? Thank you! Yea probably in the off season shows that run durring the winter. I did last year but they were just little (I mean little, only 2 other people in most of my classes with me) and they were walk trot. But this winter Ill have way more people with me and ill be doing W/T/C. That horse is really cute! I like the the way he moves; what's his breeding like? Your form looks good too. Thank you! Im not sure what his breeding is like, hes not my horse. Hes a Morgan though, haha . This is the first set of videos I have ever got with me riding him, and i like the way he moves also! Do you know Slim's registered name? baymorgan, Thanks! When i had my other lessons with a different trainer (same barn), she would always say that, haha. amie9191, no i dont, sorry. If he was on the web sight it would say but, i dont think he is because he doesnt belong to the stable. Hes just owned by someone else and hes used in lessons..You know? I could ask when i have my next lesson (sunday the 16). Do you know the website(sp) where you can look up breeding? Do you know the website(sp) where you can look up breeding? What barn do you ride with? I'm not critiquing, but you look a little tall for that horsey! You guys look terrific though. Your eq. is perfect!! Its okay, I know I am. Im almost 6 foot so most of the horses I ride at the barn I look to big for At least they can hold me still, I just look really tall on them . 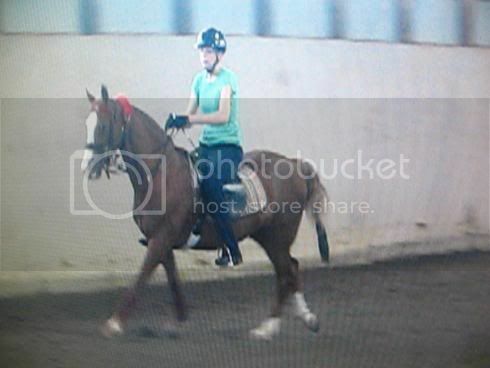 Theres really only one horse that I look good on and my legs dont go past his belly! But I dont mind, I still like riding them! Trust me though once i get my own horse, it will be a big one! haha.